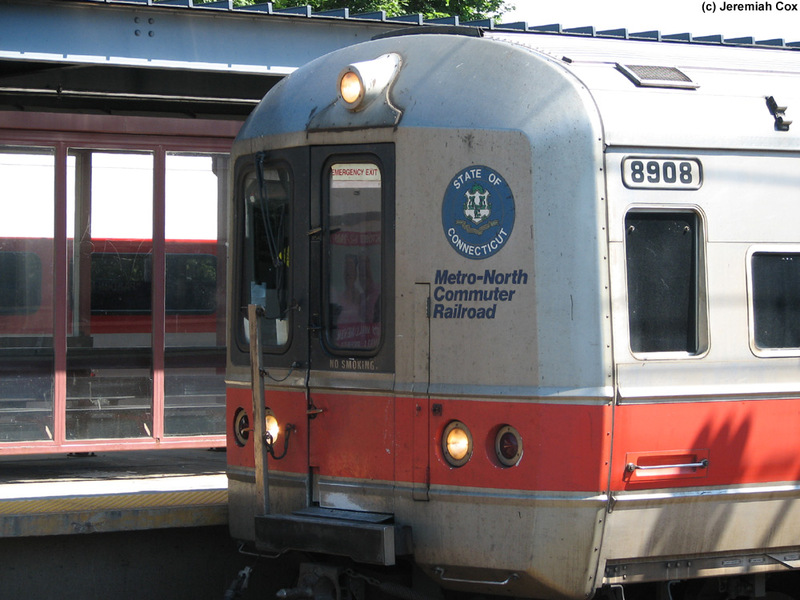 South Norwalk is an important junction Metro-North Station on the New Haven Line. Just north of the station the Danbury Line diverges from the New Haven Line at the SONO Switch Tower and the largely single-tracked line heads north 24 miles to Danbury. 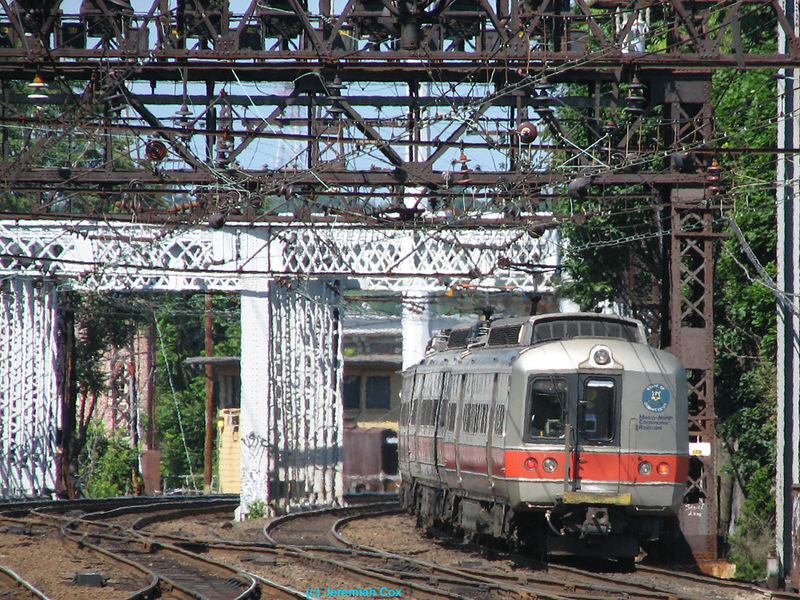 This line was electrified between 1925 and 1961 when electrification was removed because of New Haven Railroad financial problems. 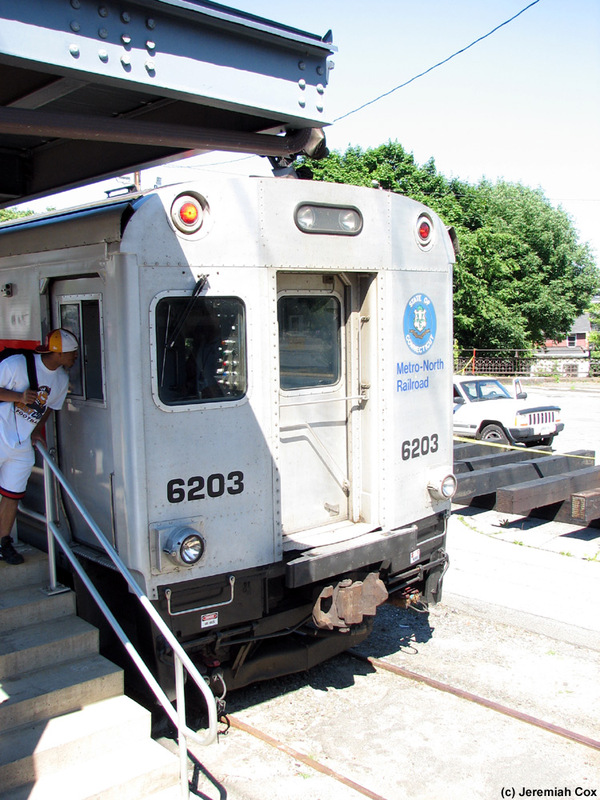 Today service on the branch is primarily provided by diesel Shuttle trains from here at South Norwalk. 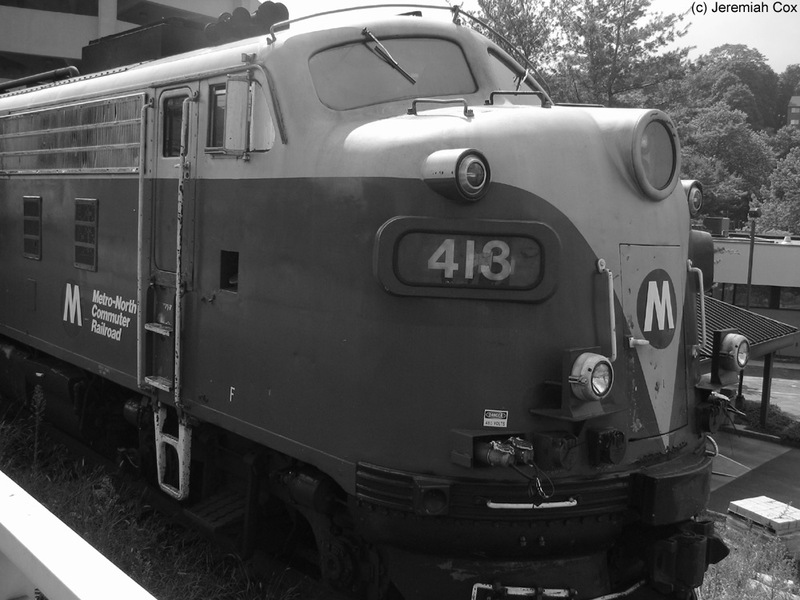 These trains consists of 2 Shoreliner Cars with a Brookville BL20GH Locomotive to and from Danbury running every two hours or better during weekdays. 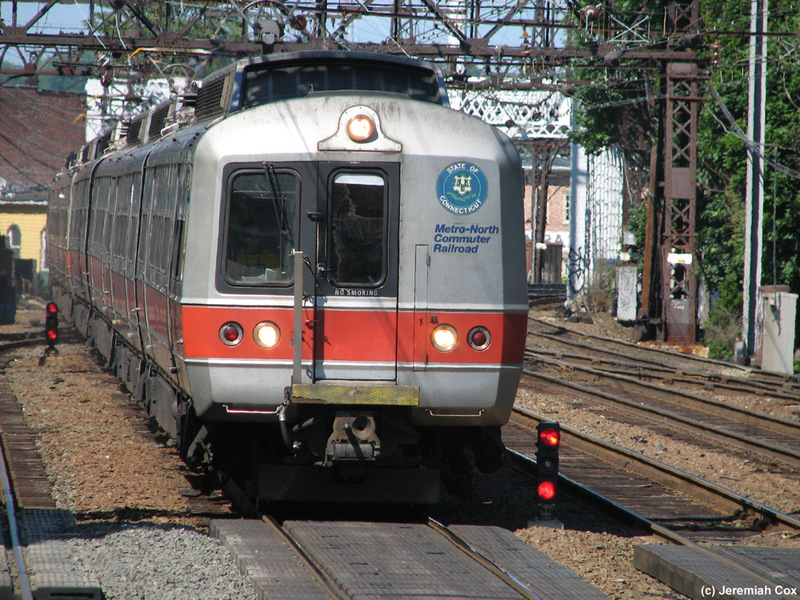 This increased service began under 2013 service enhancements (after some major hiccups with train control at grade-crossings) from the installation of Centralized Train Control. 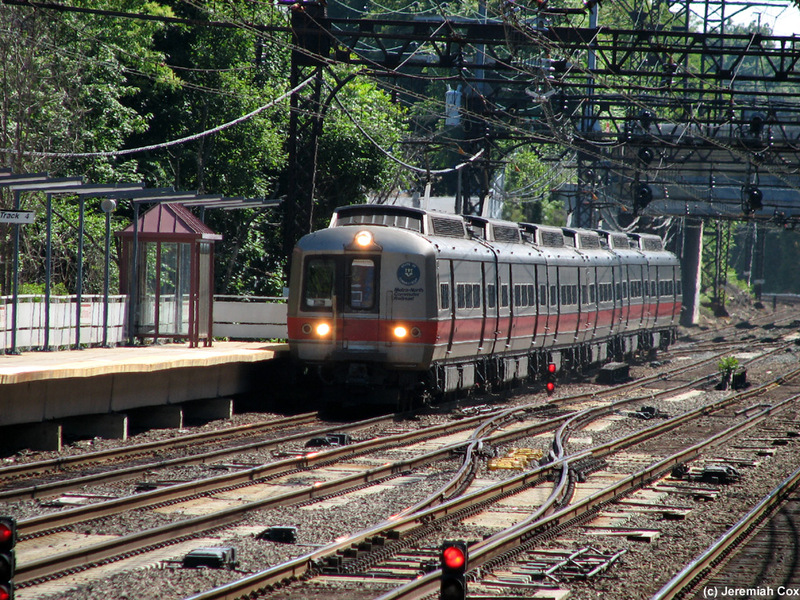 During Rush Hours, 4 dual-mode trains in each peak direction provide one seat ride service from Grand Central to Danbury. 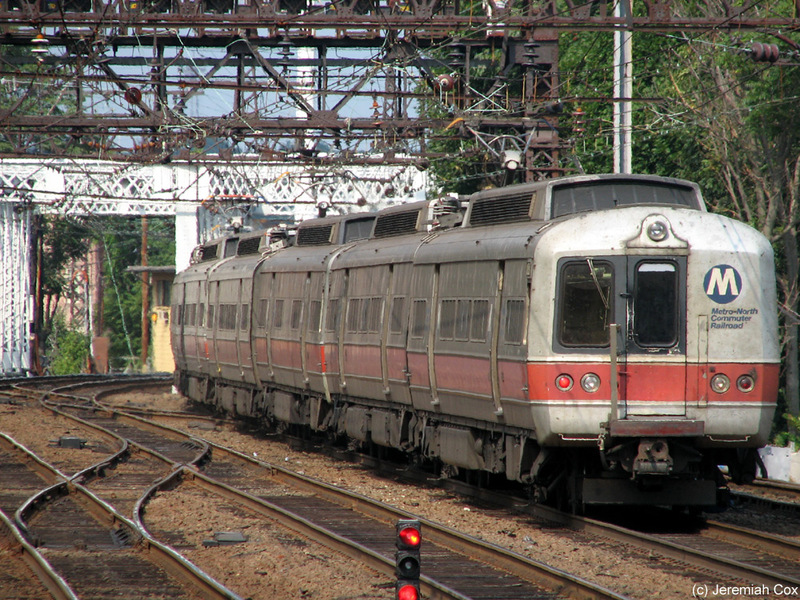 A number of peak hour, peak direction trains originate in the AM and terminate in the PM at South Norwalk, these trains currently terminate and turn-around on the Dock Bridge east of the station (and I assume deadhead to and from major yards such as in Stamford) but a $30 million project would re-electrify and rebuild the existing and powered Dock Yard just beyond the entrance to the Danbury Branch to allow better operations of the South Norwalk short-turns. 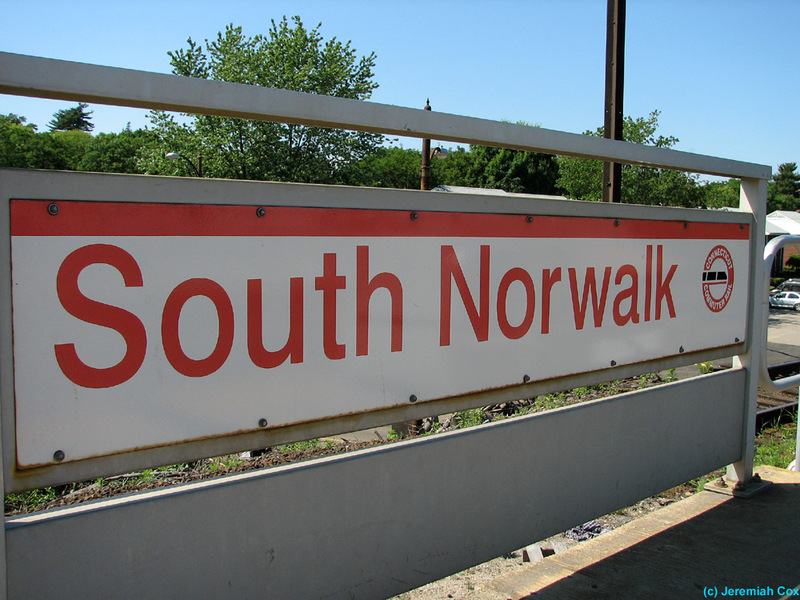 The South Norwalk Station is luckily well designed for such service, the station consists of two 10 car long mostly side platforms for the 4 main line tracks. 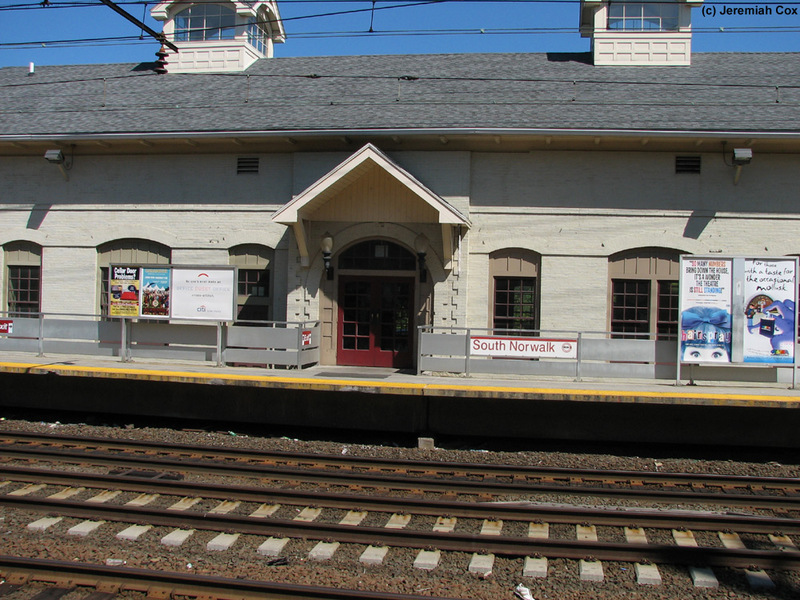 There are additional non-powered sidings along the eastern ends of both platforms that can accommodate 2 to 3 cars and are used by Danbury Branch Shuttle Trains to terminate at the station. 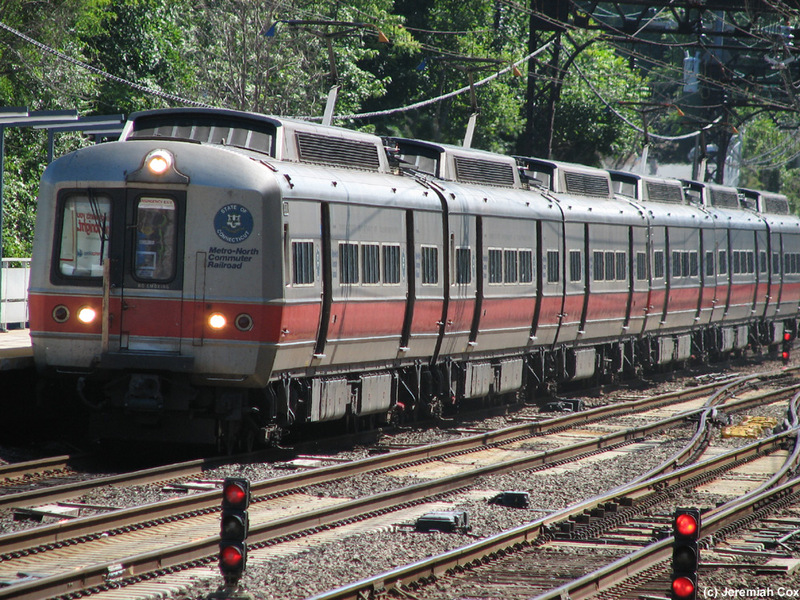 Shuttle trains normally use the northern siding so they don't have to use the series of switches to cross the entire main line. 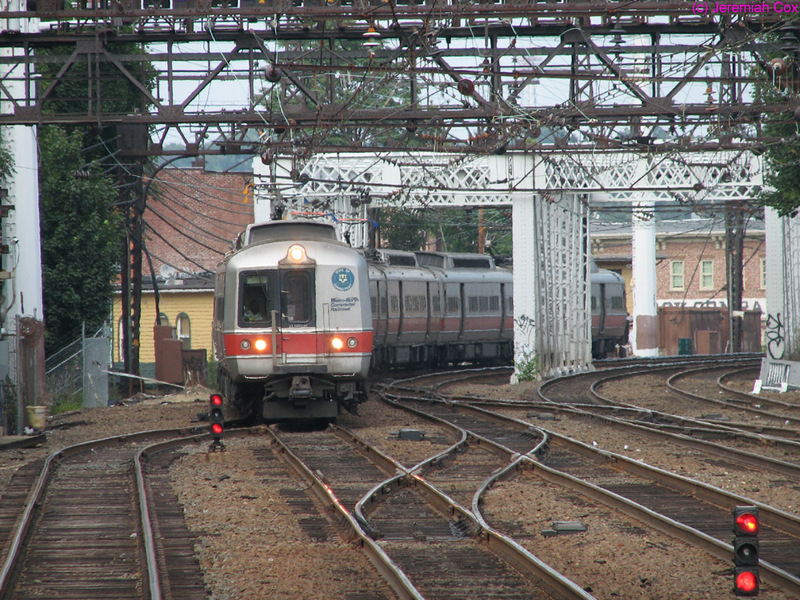 This siding (5) doesn't directly connect to the branch since it switches onto Track 3 (the New Haven-bound local track) briefly before the Danbury Branch diverges off of Track 3 (with a series of switches across the main line for through trains from New York to reach the branch from any track). The platforms each begin just east of the underpass of Monroe Street. Originally, there was a staircase off the end of each platform down to Monroe Street (that provided a unique 'low-level' platform view of the locomotives in service on Danbury Branch Shuttles) unfortunately a rebuilding project of this underpass around 2008 closed and removed these staircases (bare concrete is now where the staircases once were). The platforms are canopied only for the two cars at their eastern ends where they are 'islands' with the Danbury Branch siding tracks. 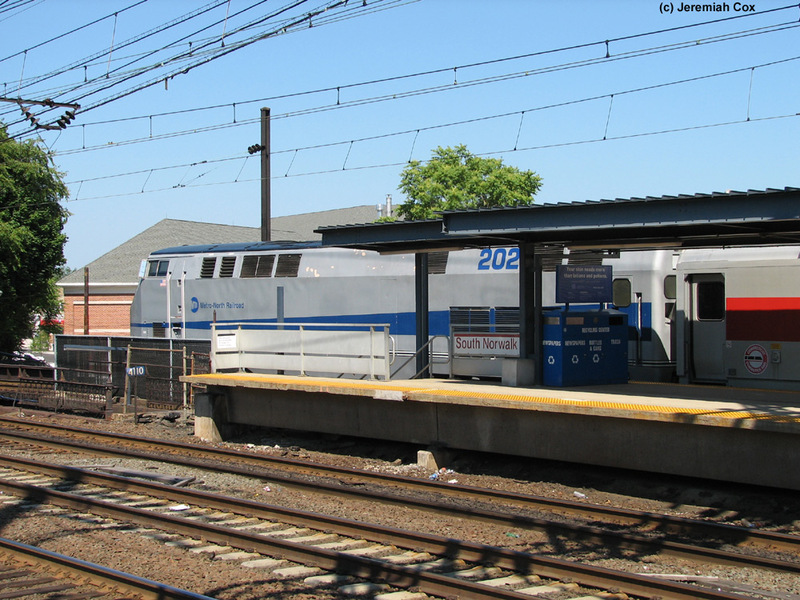 Otherwise each platform is exposed to the elements with a few bus shelters and large waiting rooms in the modern 6-level parking garage along the westbound, New York-bound platform and large historic station building along the eastbound, New Haven-bound platform. The New York-bound platform contains the station's 6-level parking garage with 720 parking spaces. This garage is for permit parking only and is managed by the Norwalk Parking Authority charging $90 per month (some of the most expensive rates on Metro-North). 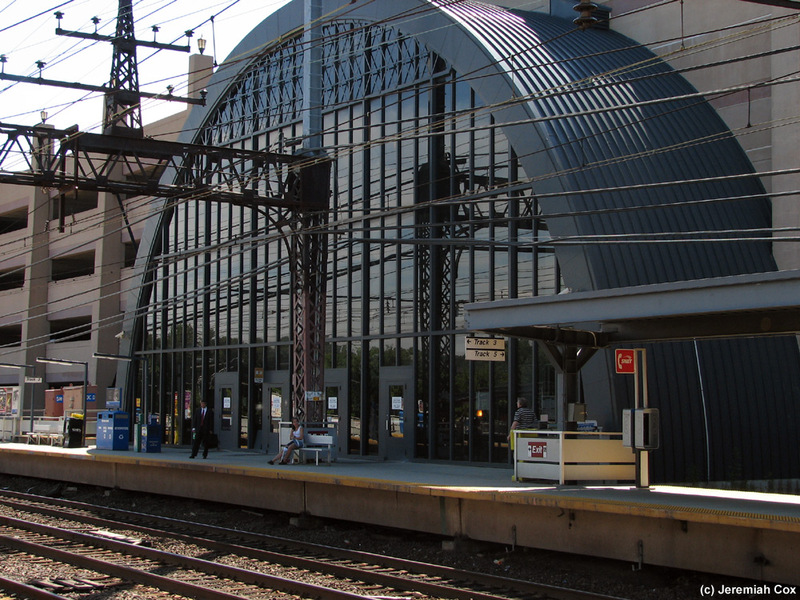 The garage is largely made of grey concrete except for a 4 story tall black arch along the middle of the garage that has a wall of glass looking out to the tracks and a series of 4 doors that provide all access to the New York-bound and Danbury Shuttle train's platform. Here there is a waiting area with just a few benches. At the eastern end are two ticket windows; just one is still staffed for one shift weekday mornings (6:10am to 1:40pm). The western end of the waiting room contains the SONO Cafe — a small coffee and juice bar. The waiting room and platform are on level 2. To leave the station passengers use the staircase or one of two elevators that connect all-levels of the parking garage and go down to level 1. This level contains the garage's security and customer service offices. 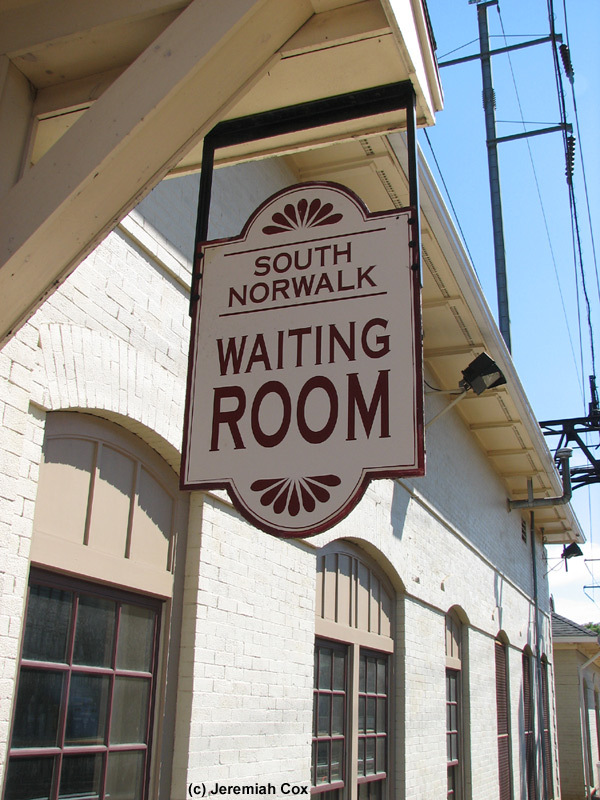 There are doors at this level that lead out to State Street beneath a canopied entrance with large silver letters for South Norwalk above. This is also where the station's taxi stand is inconveniently located. Driver access to the garage is from Spring Street at the eastern end or a second exit to Monroe Street at the western end. 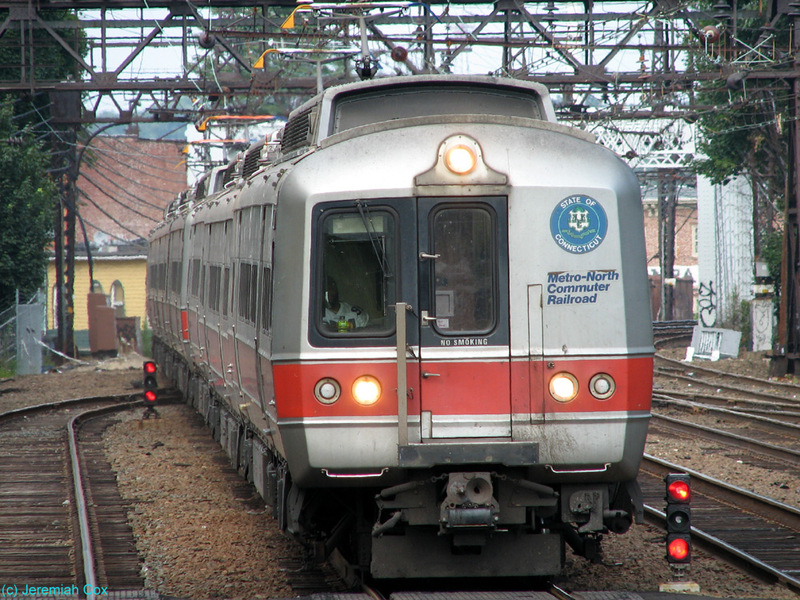 To reach the New Haven-bound platform at level 1 of the parking garatge is the the pedestrian underpass. This underpass has recently been beatified with Silhouetted Faces and Period Pieces by Duvian Montoya consisting of cut outs of people dressed in various popular fashions from 1790 to the present. The end of this underpass leads up to the southern end annex of the large and restored station building along the New Haven-bound platform. The New Haven-bound platform is along a 175 space parking lot with many staircases and a ramp entrance. The station's bus loop is on the opposite side of the station building from the platform. Access is from Monroe Street to the northeast and Henry Street to the south. 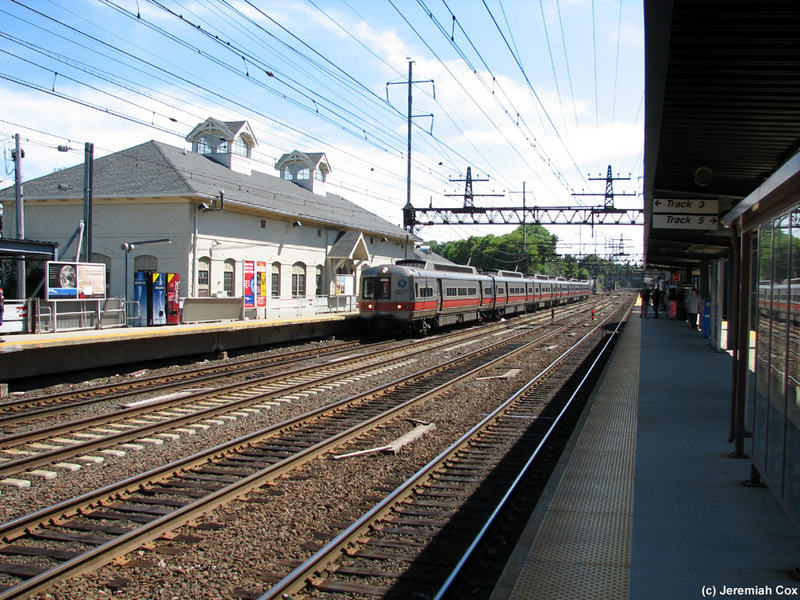 Directly along the platform (and where the pedestrian underpass arrives) is a large single story, historic red brick with cream trim station building. This building contains a pizza restaurant at its northern end. 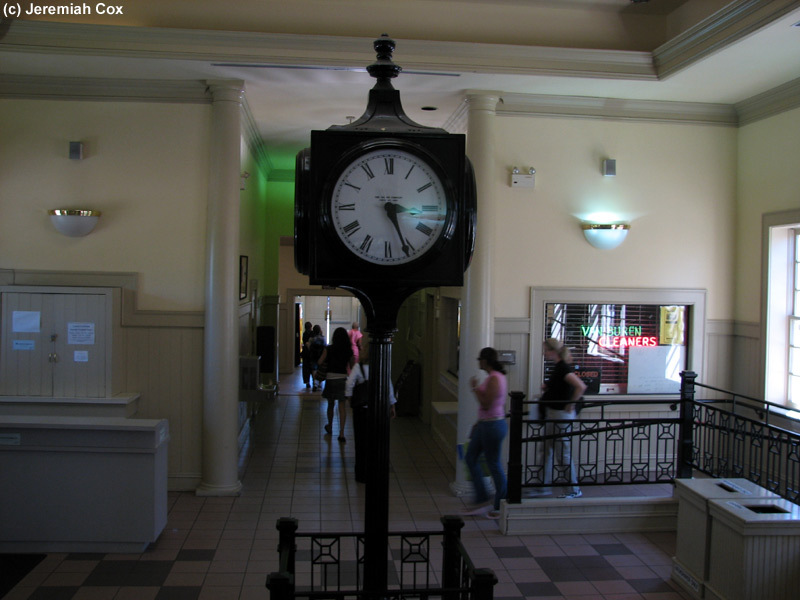 A small main waiting room contains a central ornamental clock; along with interior steps for a door directly out to platform level and another parking office. Finally a long corridor that contains restrooms (stupidly open only weekdays during commute hours) connects the waiting room to the smaller annex where the staircase and elevator down to the pedestrian tunnel to the main parking garage and New York-bound platform. Throughout the waiting room is Distributed Cultural Landscape by Matt Rink, David Boyajian and architect Vincept Appel. These are 17 hand-sized cast aluminum forms that relate to the historical context of south Norwalk. 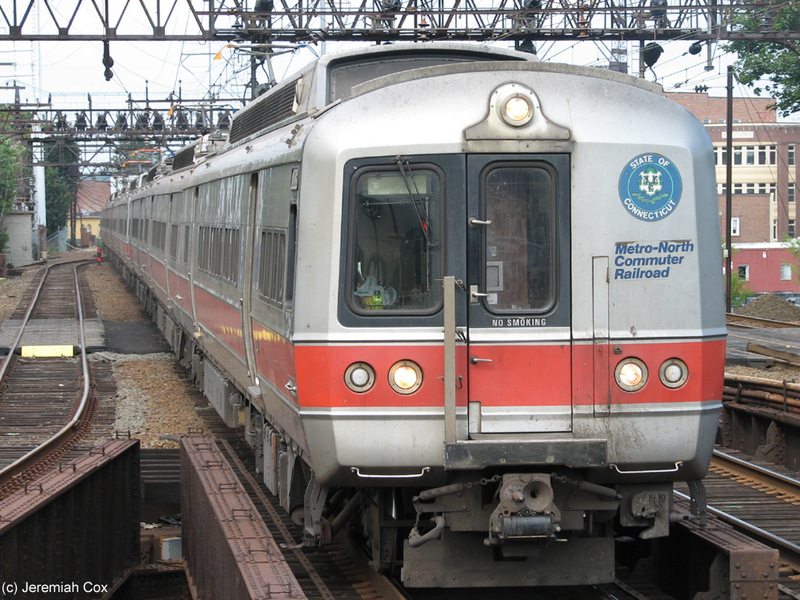 Metro-North Genesis P32AC-DM #202 at South Norwalk, part of the Danbury Shuttle. 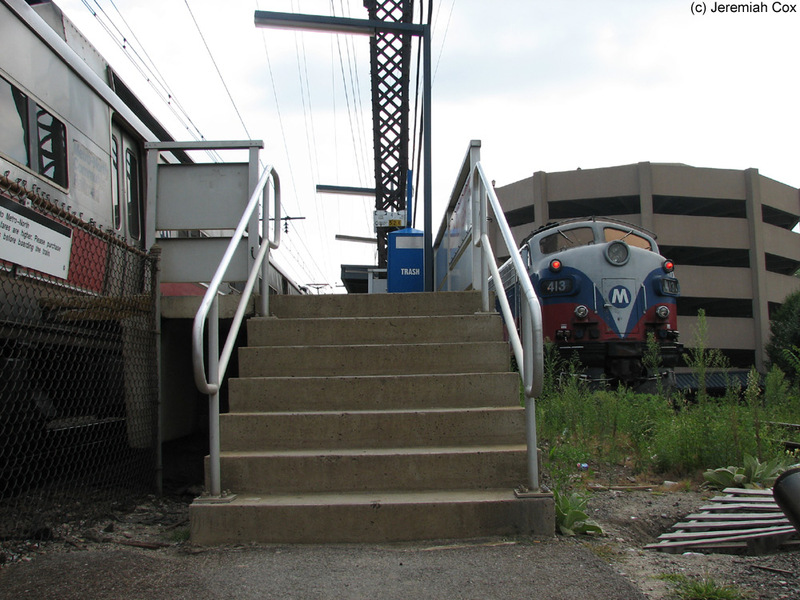 The Staircase from an underpass to the station at South Norwalk. 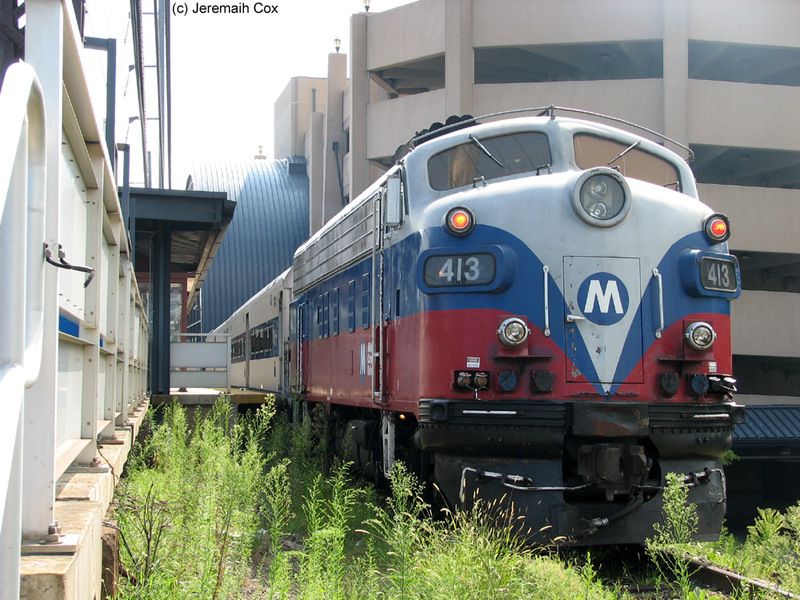 A train on the main line is in the station and F10 #413 is on lay-up track 5, notice that the track is overgrown and a portion of the fence between the track and the walkway is down.